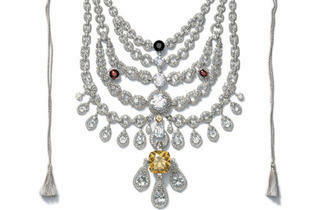 The wealth, pastimes and battles of India’s imperial monarchs are revealed. “Maharaja: The Splendor of India’s Royal Courts” at the Field Museum lavishly re-creates the culture of the maharajas, or great kings, and documents the shifts in their political power from the early 1700s to the late 1940s. 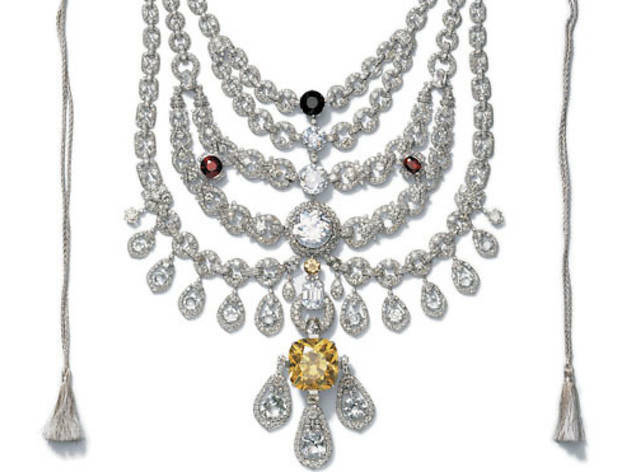 Visitors may be most fascinated with the jewels, including the obvious showstopper, Cartier’s Patiala necklace, with its nearly 2,400 precious stones. Placed among the 200 artifacts—embellished hemp wedding regalia, ornamental guns, custom furniture designed by architects, to name a few—is a bevy of art. Stunning watercolors and oil paintings depict the royal elite in everyday life and emphasize the significance of their royal duty, or rajadharma.